SACRAMENTO, Calif. /California Newswire/ — Calif. Assembly Bill 2464, the Improving Personal Safety at Stadiums Act, authored by Assemblyman Mike Gatto (D-Los Angeles), passed the Senate today by a 36-0 vote. The Act would require major-league sports stadiums in California to clearly post the numbers fans can use to call or text-message stadium security. Such signs would need to be visible from the stands and in parking lots. The bill was inspired by recent incidents of senseless violence at professional sporting events in California, and a sense in the Assemblymember’s community that action was needed to protect the majority of fans from the few violent, bad actors. “Many parents have told me that they are afraid to take their kids to a ballgame,” said Gatto. “This law will allow fans to report incidents to stadium security before they escalate out of control.” Indeed, several of the more high-profile beatings lasted over a span of several minutes, during which frantic fans dialed 911. In those instances, it is stadium security (from within the stadium) and not the police (coming from outside the stadium) who is best equipped to quickly respond and prevent an injury from becoming more serious. 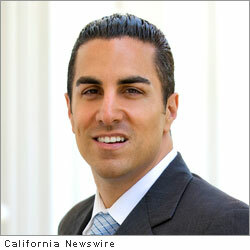 Mike Gatto is the Chairman of the Appropriations Committee of the California State Assembly. He represents the cities of Burbank, Glendale, and parts of Los Angeles, including Los Feliz, North Hollywood, Silver Lake, Toluca Lake, Valley Glen, and Van Nuys.